Delhi Capitals went into the auction to plug the gaps in their squad and let go of some big names in the IPL. They bought utility players, mainly all-rounders who can chip in with both bat and ball and support the core players. Solid top order: Delhi Capitals have a solid Indian top order which is not the case with many teams in the IPL. With the likes of Shikhar Dhawan, Prithvi Shaw, Shreyas Iyer, and Rishabh Pant, Delhi have one the most destructive top orders. It gives them the luxury to play foreign bowlers and all-rounders which gives a good balance to the squad going into the tournament. Last year Delhi had problems because the opening combination did not perform well which put immense pressure on the middle and lower order. This year at least on paper Delhi are going with a solid top order. A mix of youth and experience: With established T20 stars like Colin Ingram, Amit Mishra, and Shikhar Dhawan to guide the youngsters of the team, Delhi does not have a dearth of experience in their squad. Besides the players, the support staff includes Sourav Ganguly and Ricky Ponting who are well known for guiding the youngsters. Indian fast bowlers: With the departure of Mohammad Shami, Delhi Capitals have signed Ishant Sharma as an experienced Indian fast bowler but his T20 bowling is still a question mark as he can be taken for runs in the death bowlers. Besides him, Delhi have Avesh Khan, Nathu Singh and Bandaru Ayyapa who have played a total of 9 IPL matches combined out of which Avesh Khan has played 7. Lack of experience in the Indian fast bowling department can certainly hurt the Delhi Capitals. Spinners: Spin plays a huge role in Feroz Shah Kotla where Delhi are expected to play half their matches. In the last few seasons Shabaz Nadeem would play a huge role in for Delhi nut with his transfer to SRH , the spin department of Delhi Capitals is a little light. They have only 2 genuine spinners in Amit Mishra and Sandeep Lamichhane but Sandeep being a foreign bowler may not play all the matches. This leaves the onus on Amit Mishra who seems to be towards the fag end of his careers. Shikhar Dhawan, Prithvi Shaw, Hanuma Vihari, Shreyas Iyer, Rishabh Pant, Colin Ingram, Chris Morris, Axar Patel, Kagiso Rabada, Amit Mishra, Trent Boult. 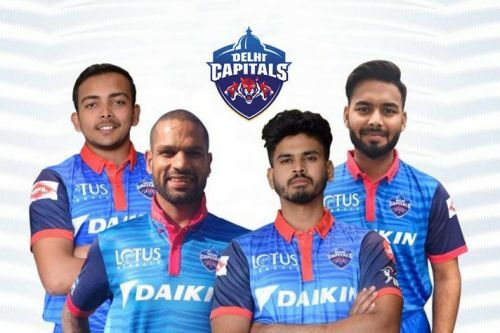 This XI gives Delhi Capitals 8 batting options and 6 bowling options.